Good news for animal lovers: a trip dedicated to discovering the flora and fauna of the island of Magerøy, with many bird species and grazing reindeer. Our departure point for this trip is Honningsvåg, the capital of the island of Magerøy. The town counts approximately 3,200 inhabitants and is often visited by cruise ships as well as commercial ships from Russia. We leave Honningsvåg by coach to visit the fish processing factories, the hotels and air-landing strip before skirting the Skipsfjord with its bungalows for weekend tourists. We will then climb to the upland. Trees do not grow on the island but here, surprisingly, we find numerous plant species. In the summer months, this is the grazing ground for approximately 5,000 reindeer and, with a bit of luck, we will be able to see some of them. They are tame animals owned by the Sami population, an ethnic minority concentrated particularly in the Finnmark county. 10% of this community still leads a nomadic life, following the reindeer to the coast in the spring before returning inland in the autumn. The next stop will be Gjesvær, a village located 37 km west of Honningsvåg with a sheltered port and roughly one hundred islands of various sizes just off the coast: among these are the Stappan islands, nature and bird reserves. We will board a boat and head out towards the islands, but we must keep a certain distance for the protection of the local fauna. 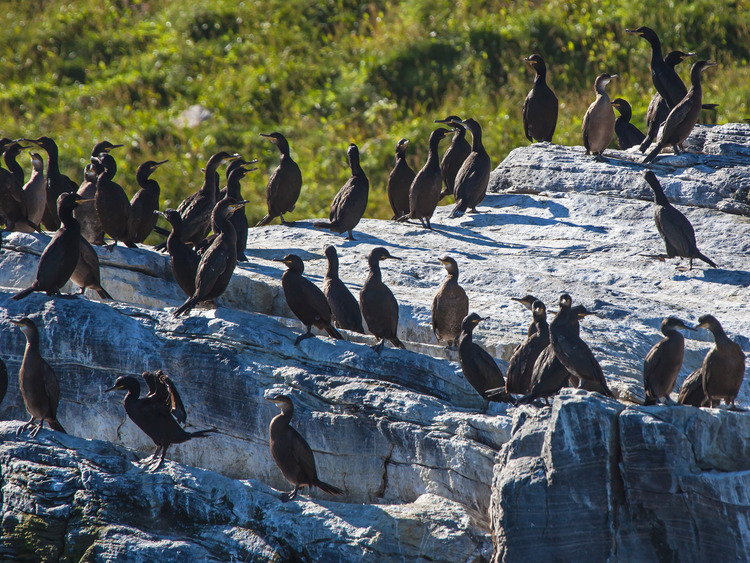 It is called Bird Safari: in the archipelago, located 15 km west of North Cape, we will discover the nests of a wide variety of marine birds: kittiwakes, sea puffins, razorbills, common guillemots, cormorants, European shags and boobies. There is a good a chance that we will be able to spot a sea eagle. After approximately two hours we will head back to Gjesvær, from where we will take the coach back to Honningsvåg. This excursion is not recommended for guests with mobility problems or those who suffer from sea sickness.